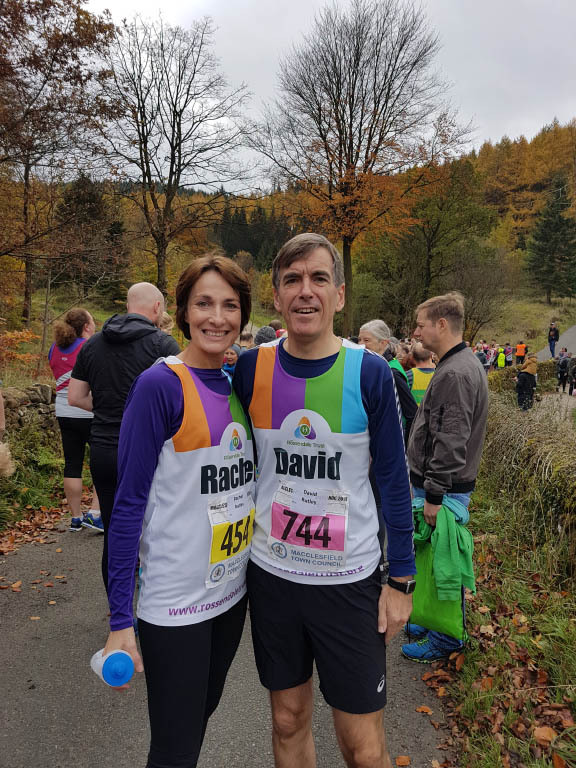 This year’s Langley 7 race was another big success, with organisers expecting over £3,000 to have been raised for this year’s nominated local charity, the much-valued Rossendale Trust. 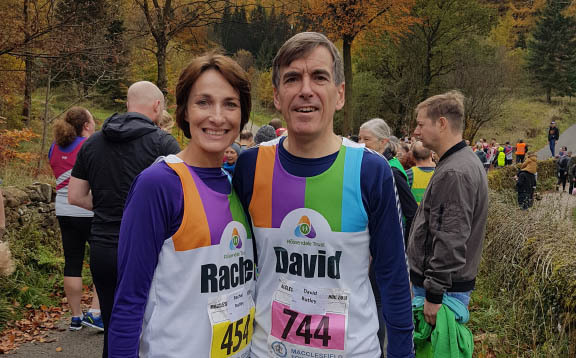 Patron of the Rossendale Trust, Macclesfield MP, David Rutley, and his wife, Rachel, took part to help support this important fundraising initiative. All of the money that was raised by the 250 other competitors will go directly towards supporting the charity in its transformational supported employment programme, WorkTaste. This positive initiative supports individuals with a learning disability to work within the Macclesfield business community, and to gain real experiences of work, supported by the Rossendale Trust WorkTaste coaches. The Langley 7 was once again organised by Macclesfield Harriers Athletics Club. In a change from the usual course, a new race route was used, with a different start and finish line, and an alternative car park kindly ‘loaned’ to the Club for the day by Macclesfield Forest Rangers and United Utilities. However, the 8.1-mile course still covered much of the hilly and challenging terrain in the quiet country lanes around Langley and Sutton, including the popular Wythenshaw Lane.